Happy April folks! It’s the month of Easter, the middle of Autumn, and my birthday month! 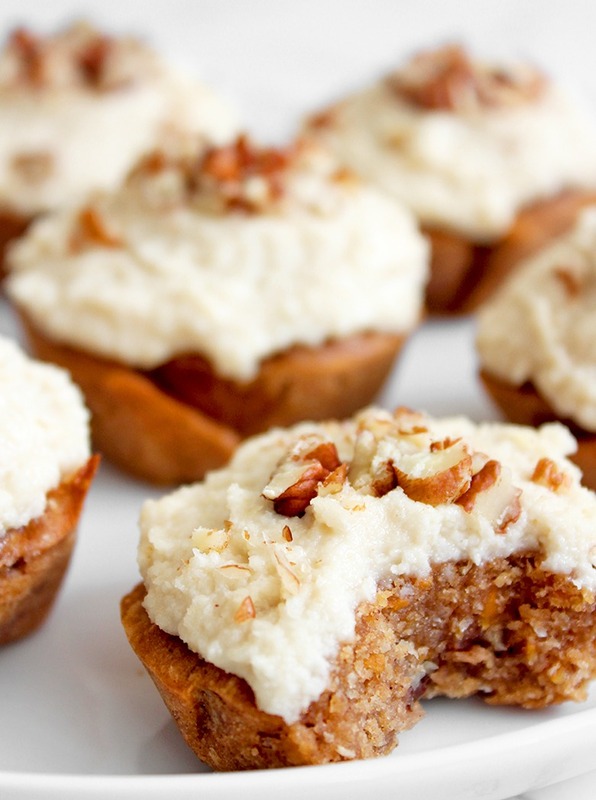 I have some exciting Easter recipes in the works and today I’m starting with this super cute mini vegan carrot cake! The recipe is moist, sweet and even got the tick of approval from my boyfriend, who previously didn’t like carrot cake! 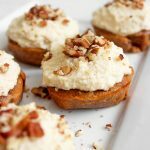 The base of these mini carrot cakes starts by adding all of the dry ingredients (except for the carrot, coconut and nuts) into a large mixing bowl and whisking it to combine, then create a well in the dry mixture for the wet ingredients. First, melt the coconut oil in a small bowl (if you keep it solid) so that it mixes well into the cake batter and set that aside while you add the warm water and maple syrup into the well, add the coconut oil and gently mix the wet into the dry mixture. Next add in the grated carrot, coconut, chopped nuts and mix them in. The cake batter is meant to be quite runny as this is a very moist and soft cake so don’t worry. Pour the batter into your prepared muffin tin, filling each one as this cake won’t rise very high. Place it in the oven and wait about 30 minutes. When they are lightly golden, firm to the touch and an inserted toothpick comes out clean, they are ready! 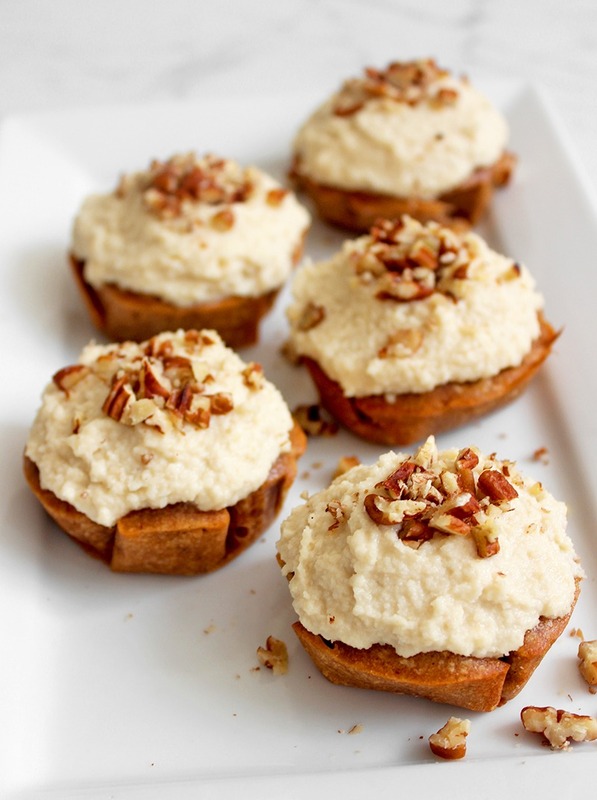 Let them cool while you prepare the cashew coconut icing. For the icing, simply blend all ingredients in a blender or food processor until it’s well combined and quite thick. 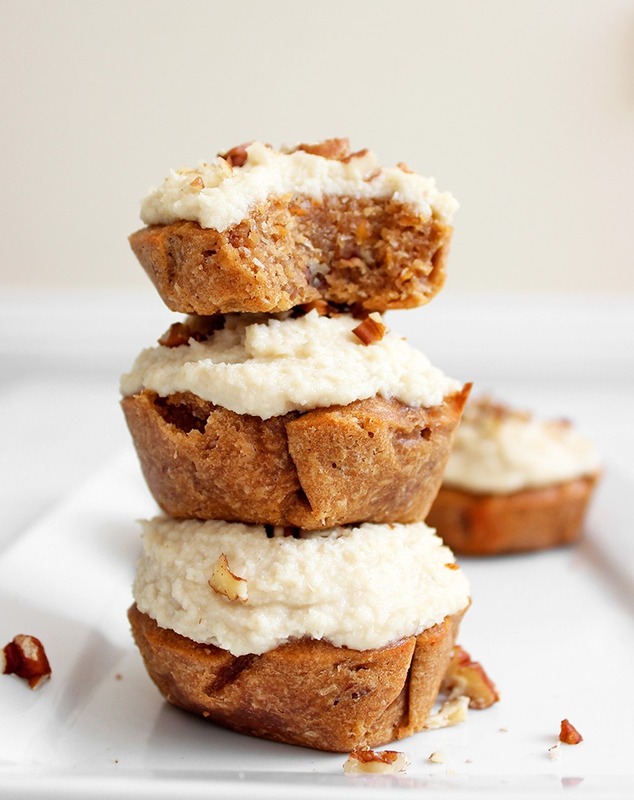 Once your mini carrot cakes are cool enough, you can spread the icing on top and sprinkle with some nuts, more coconut, raisins, or whatever else you fancy! Store these little beauties in the fridge for up to 5 days! If you’re after more vegan dessert recipes, check out my Rustic Raspberry Muffins and my Chai Spiced Cupcakes! 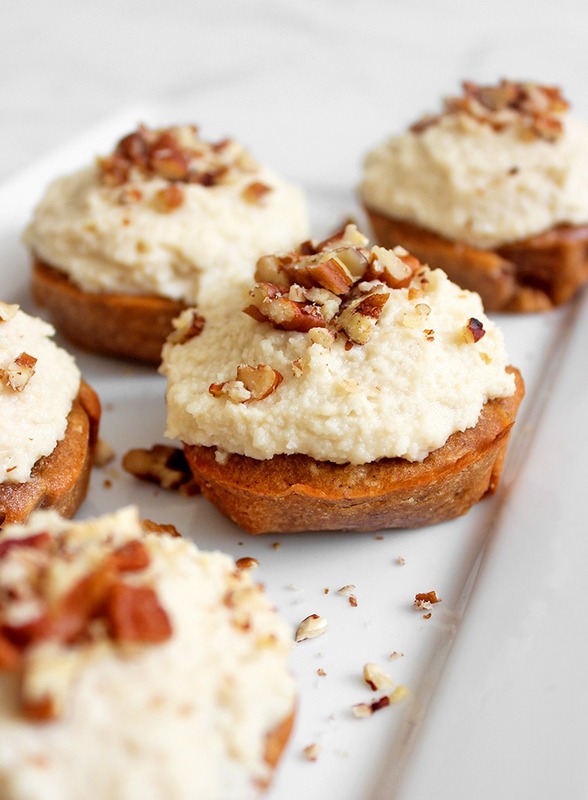 Planning to make this mini vegan carrot cake? Share your pics with me on Instagram @lemonthy.me! Preheat your oven to 200°C (390°F) and prepare a muffin tin by lining the holes with baking paper for a smooth edge on your mini carrot cakes. Whisk together the flours, sugars, baking powder, spices and salt in a large mixing bowl. Create a well in the center and pour in the water, maple syrup and melted coconut oil and gently stir everything together. Mix in the grated carrot, desiccated coconut and chopped pecans. The batter is meant to be quite runny so don’t worry. Pour the batter into the lined muffin tin, filling each hole as the cake won’t rise much. Place in the oven and bake for approximately 30 minutes or until the top is lightly golden and firm to the touch. You can insert a toothpick if you’d like to test that the inside is cooked too. Let them cool before icing them. For the icing, blend all ingredients together, adding a TINY amount of extra water if it’s too thick to blend. Spread it over the cakes and sprinkle with chopped nuts. Enjoy!